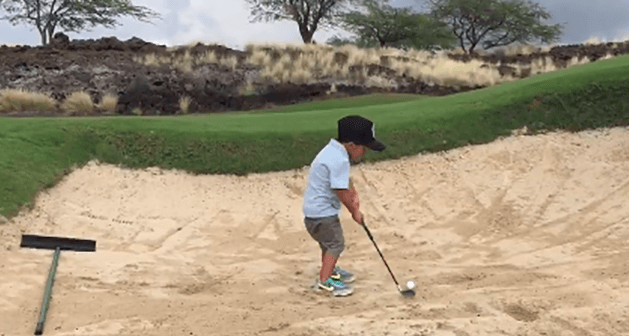 Blake Nakagawa is a 4-Year-Old golfer from Hawaii with the world at his feet. While most of us at that age were happy building castles in the sand pit young Blake is busy working on his bunker play and trying to improve those up and down stat’s. According to Blake’s twitter account he has already starting competing and quite successfully by the looks of things. Obviously passionate about golf, he also has enjoys playing soccer and surfing the famous Hawaiian waves. Young one-armed golfer performs ‘Happy Gilmore’ shot.